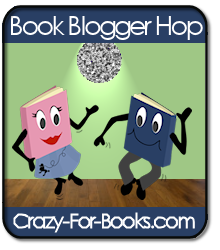 It’s been a while since I’ve participated in the Book Blogger Hop sponsored by the lovely people at Crazy-For-Books! This weeks question is: What are the next five books in your TBR (to-be-read) pile? And, don’t worry, you can change your mind and read something different – we won’t check! This is tough one for me as I like to spontaneously just choose my next TBR book off my big (ok huge) pile. I would say my next five are hopefully some cozy mysteries before I have to dig into some heavier reads for my book club. Filed under Book Blog Hop, Cozy, Cozy Mystery, Mystery, What Are You Reading? I don’t really enjoy Halloween that much and have never really celebrated it, but I do love the tiny, little kids who come trick or treating in the most adorable little costumes, like lady bugs, princesses, etc. They are sooooo cute!!! Happy Friday! Friday means its time for the Book Blogger Hop by Crazy For Books! I don’t read a lot of spooky, horror type books, but I remember reading the Flowers in the Attic series back in the day! Freaky! My answer: The Bean Trees by Barbara Kingsolver (on 2009 – 2010 challenged/banned book list)!!! Spread the word about the book party! The more the merrier! In your blog post, answer the following question (new question each week!). This week’s question comes from Sue who blogs at Cookie’s Book Club! Thanks for submitting a question for our Hoppers, Sue! Be sure to visit her blog and tell her thank you! I will definitely keep reading a book if there is a gruesome murder in the first few pages (I admit, I love my serial killer books). If the book is a period piece or set in Britain/London, I will put it back immediately. I just can’t get into it! My favorite post would have to be my post about graduating with my Master’s degree at the end of May. I worked hard and met many great people who I hope will be friends for years to come! And now I am ready to get back to my life, enjoying a summer of concerts, grilling, and most importantly reading and getting back to my blog! I just can’t think of what my favorite was. I do remember that I strongly disliked The Horse Whisperer by Nicholas Evans. I hate when the movies take complete creative license with the material from the book – especially the ending and the Horse Whisperer ending was completely different.